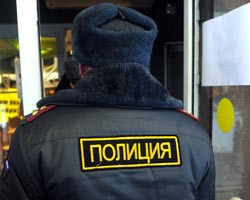 A 43-year-old man arrested under suspicion of embezzlement has died in a Moscow police station, RBK reports. The man was being held in a cell for administrative detainees at Moscow’s Khorosheva-Mnevniki station. A federal warrant had been issued for his arrest. Federal investigators said an investigation into the incident was underway. They added that preliminary information suggested the cause of death was heart failure. The detainee’s death is particularly suspicious because three police officers from the same station were arrested last October on suspicion of murdering a 22-year-old Muscovite. The officers allegedly had a conflict over money with the victim, whose body was found with nearly 80 stab wounds on September 11. In connection with the murder case, the chiefs at the Khorosheva-Mnevniki station were summarily fired on October 31. A commission from Moscow’s central police headquarters was sent to reevaluate the station’s entire staff. This latest death also comes one month after a man died in a Krasnoyarsky Krai hospital after providing evidence to investigators at a police station. During their discussion, police say the man acted aggressively and tried to leave the station. One of the officers forced him back into his chair. Soon after, the man began to complain that he felt ill. Police called an ambulance and he was sent to a hospital, where he died two weeks later. The cause of his death is still under investigation. Deaths in police custody figured as one of the largest scandals of 2012 in Russia. In particular, a man detained for public intoxication died after police sodomized him with a champagne bottle, leading to the dismissal of Tatarstan’s chief of police. The cases also serve as a reminder of lawyer Sergei Magnitsky, whose death in pretrial detention sparked a dispute that has evolved into a diplomatic firestorm between Russia and the United States.